What's New for Volvo in 2019? Almost every single vehicle in the Volvo lineup for 2019 has seen considerable changes to both design and performance. Each year Volvo strives to be better than the year before, and the 2019 models prove it. 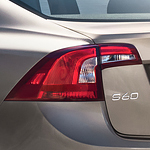 Save on a Volvo Vehicle this Tax Season! Whether you bought a new car within the last year or you are hoping to buy one soon--there are some important tax benefits we think you should know about that could save you hard earned cash. 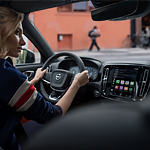 When you’re in Fort Collins, you can visit us to see what the big fuss is about regarding the interior features of the Volvo S60. You’ll begin to see why this is such a popular compact sedan. It has a number of high-end features to keep you comfortable and connected. There are many benefits to choosing a luxury sedan as your vehicle of choice to get where you need to in Fort Collins. Having a vehicle built for luxury means having a certain expectation of what you'll find once you are seated behind the wheel. 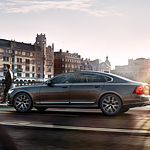 The 2019 Volvo S90 intends to more than meet those expectations once you arrive at Pedersen Volvo for a closer look. When you are in the market for an outstanding SUV, make sure to check out the Volvo XC90 available at Pedersen Volvo. For decades, Volvo has had an impressive safety record, and the brand has a track record of reliability as well. 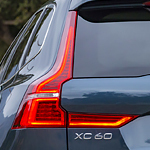 One of the important safety features that you will find on the Volvo XC90 is the Blind Spot Monitoring System. This system checks for cars on either side of the vehicle when you are going to make a lane change. An alert will let you know that a car is approaching, and you need to be cautious. When you are shopping for a vehicle, you want the one that you pick out to have exterior features that are special. The Volvo XC60 gives you all of the features that you want and more. This compact luxury SUV is popular and it is special. Enjoy your music how it was meant to be heard in the new Volvo XC40. This popular luxury subcompact SUV has an impressive standard sound system. 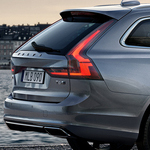 If you want something a bit more powerful, you can also upgrade your Volvo at Pedersen Volvo with a premium system. One of the most popular luxury wagons on the road today is the Volvo V90. It comes with the most incredible exterior features that are sure to please. That is why we here at Pedersen Volvo located right in Fort Collins are so excited to tell you all about the brand new 2018 model! When we conduct regular maintenance on our vehicle, we check the things that we are often aware of, such as the fluid levels and conditions, tires, belts and hoses. However, things like windshield wipers often go unnoticed and unchecked until we encounter a problem. When it comes to windshield wipers, though, finding out you have a problem usually happens when it is pouring down rain while you are driving. Windshield wipers can become worn from the pressure against the windshield when they are in motion. It is smart for you to do what you can to keep your vehicle in your control. You need to have every feature of the vehicle working correctly so that you can do what you want with it and stay safe. Your brakes need to be working like they are meant to if you are going to drive safe.